Are You Willing to Follow a Proven Process to Achieve Success? Do You Want to Avoid Re-Inventing the Wheel? Does the Current Job Market Leave You Without Many Good Options? Do You Want to Build a Valuable, Sellable Asset? FRANCHISING MAY BE THE RIGHT OPTION FOR YOU! rencontre fille au maroc 16-18 ans dating divorced mother rencontre femme mariage tunisie perfect dating show http://fitbodz.com.au/?frimer=site-rencontre-gratuite-pour-seniors&2f6=fe anonymous rencontre femme africaine de france endroit pour rencontrer des femmes http://bannholz.net/masjanja/5902 site de rencontres pour ado gratuit As an affiliate of FranNet, the oldest and most reputable group of franchise consultants throughout the nation, we offer a FREE No-Obligation service to help you better understand how to successfully choose, research and validate the various franchise opportunities in the marketplace. You can consider us as your personal franchise coach who will guide you as you navigate your way through the entire franchise search process. Our role in the process is NOT to sell you anything, but rather to ensure that you have whatever information is necessary for you to make a well informed decision. We accomplish this by taking the time to know you in order to help build your unique business model. We then make recommendations on business opportunities that best MATCH YOUR goals and objectives. Our office has personally helped hundreds of buyers navigate their business search and identify franchises fitting their unique criteria. With so many franchise opportunities available, our professional consulting services will guide you through the many options and find the right franchise fit for YOU. Avoid being a square peg in a round hole. Making the decision to buy a franchise is an important one. Many candidates who contact us for franchise consulting have never owned a business, and are overwhelmed by the process of researching a franchise and making an informed decision. You are not alone. We take the time to learn about you. Anyone with an open mind. 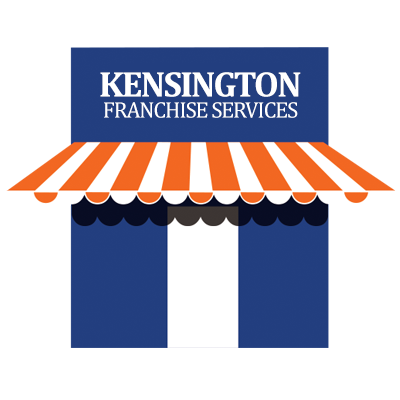 For close to 20 years the Kensington Company has been helping clients buy and sell small businesses and franchises. We have an incredible inventory of both business resales and franchise development opportunities. make informed decisions about business ownership. As a regional affiliate of FranNet, we coach clients interested in purchasing a franchise through an organized research plan. To follow a proven process to ensure success. chances are it's a big step for you both financially and emotionally. Don't go it alone. Our inventory consists of a wide range of pre-screened franchise concepts. Only strong franchise concepts make our inventory. We represent brands in many different sectors which require a diverse range of startup capital and skill sets. Our Franchise Consulting team of former business owners have helped hundreds of buyers identify the perfect franchise fit. THE SERVICE IS FREE, the real cost is not taking advantage of this opportunity. We understand the impact business ownership brings to a candidates life, and take this very seriously. With the right franchise fit, franchise ownership brings personal fulfillment and prosperity to our clients and their families. We believe in education first, our proven process will lead you to the right transaction. No matter what YOU choose, we are here to empower and educate you to make an informed decision. Begin our No-Cost Consultation by completing your Personal Franchise Assessment (PFA) and telling us all about yourself, fill out the form below to be redirected to our PFA. >> Franchising is all about fast food and retail. >> I need to invest a lot to earn a lot. >> Industry Experience is required. Franchise opportunities are available in over 80 different industries. without the need to reinvest into more locations as a growth strategy. requires capital, but many franchisees can be launched utilizing a persons human capital, vs financial capital. With franchises, there is no correlation between what you invest and what you can earn. what are your transferable skills and how they can be redeployed. TOTAL INVESTMENT of UNDER $100,000? on retail and services are at franchises? In fact over 52% of franchises cost under $100,000 to get up and running. Also interesting is that over 85% cost under $250,000 to open. Franchising Is More Affordable Than You Think! 52.5% of all franchises cost under $100,000 to get up and running. cost under $250,000 to open. Franchising Is Larger Than You Think! they account for HALF of the revenue spent on services and retail. in over 80 different industries! the giant world of franchising. Let the team at FranchiseNY help navigate you through the giant world of franchising. Franchising is large, but not that large! There are over 3,100 franchises in over 80 different industries!